"Dracula" may be a fantasy story about a vampire from Transylvania but it's written by a man from Ireland, a man who no doubt grew up with tales of Celtic vampires to inspire his nightmares, dreams, and stories. For the Celtic lands are filled with stories about the bloodthirsty dead and cruel fairies. "Leave the stick where it is and open this tomb for me." Kate began to tremble and was greatly in dread, but something was forcing her to open the tomb--she couldn't help herself. "Take the lid off now," said the dead man when Kate had the door open and was inside in the tomb, "and take me out of this--take me on your back." Afraid to refuse, she took the lid from the coffin, raised the dead man on her back, and walked on in the way he directed. She walked about the distance of a mile. The load, being very heavy, was near breaking her back and killing her. She walked half a mile farther and came to a village; the houses were at the side of the road. "Take me to the first house," said the dead man. "Oh, we cannot go in here," said he, when they came near. "The people have clean water inside, and they have holy water, too. Take me to the next house." The vampire in this story is unable to escape his tomb himself, so he must hypnotize another to help him out. 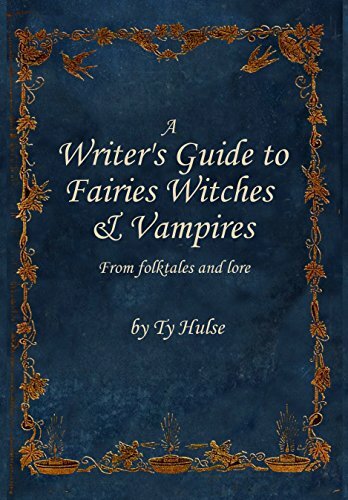 Irish vampires and fairies often seek help from people to get around crosses and the like, often offering rich rewards in return for their help, yet in this tale the girl is magically compelled to do the vampires bidding. In this tale it's clean water that keeps the vampire out of the home, while in Scotland vampires will drink clean water before they drink blood so putting it out still keeps the members of the household safe from harm. In this story, as in most tales the vampire can drain a persons blood without leaving a mark for the wound closes up once they are done. In such cases what appears to kill vampires victim is a disease which the vampires seem to carry with them. Such vampires often eat their blood in oatmeal or other foods, and as the vampire in the above story did they demand that those they 'fall in love with' drink this blood as well. It's interesting then that the wolf in whats considered an original version of "Little Red Riding Hood" demands that the little girl eat her grandmothers flesh and drink her grandmothers blood. Although the Little Red tales don't come from Celtic lands per say the aforementioned tale comes from a land which used to be Celtic, so perhaps it shouldn't be surprising that a girl going to visit her sick grandmother would run into one of the personifications of illness, a wolf which might originally be a vampire like creature. The Celts held that many dark spirits would go about in the forms of animals, cats, hares, dogs and of course wolves. These spirits, along with many vampire like beings were the "Dreams of the Dead" or Astral projections of the living. In other words they might have had solid form but they where spirits, and as spirits they could change form at will. Another interesting point about this is that they can move through small holes like water, though not through solid walls, and those who are alive but choose to go out and drain the life from people can do so while leaving their body behind to sleep so that no one will know what they are. In one story a man grabs a murderous old woman's spirit and then has someone go and fetch the woman who's body is able to stand side by side with her spirit double. This is not to say that all vampires are projections, obviously the vampire Kate encountered was a corpse. Rather it's to point out that there are generally three types of vampires in Celtic lore. Walking corpses, the dream forms of the dead, and the spirits of the living set out to do evil. All of these forms of vampires will steal human blood to eat, spreading illness and death as they go, but they do so much more, they blight crops and steal milk leaving families to starve to death. They cause madness and insanity. They also attend wild hunts, chasing people down like animals for sport. Yet there is hope for their victims as Kate found. She kept some of the blood the vampire had stolen from his victims hidden, then returned it to them, bringing them back to life. Further these vampires must return to their graves when a pure rooster crows, they are unable to enter houses with clean water, and certain holy symbols and charms keep them at bay. Further they are often killed by ordinary weapons, though they are also stronger and much faster than most any human who doesn't have some supernatural aid.